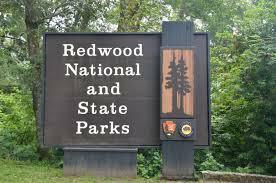 Edwin C. Bearss: "Redwood National Park: History / Basic Data." 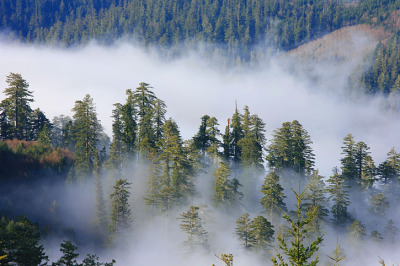 Click above to access a full version of Edwin C. Bearss' 1969 (reprinted in 1982) history of Redwood National Park, available from the NPS's History E-Library. From the title page, click "Table of Contents" to get started. Before Euro-American contact, American Indians had adapted well to this environment. Their profound religious beliefs, extensive knowledge of the natural world, languages, customs, and perseverance continue to be a source of admiration for other cultures. American Indians in the region belonged to many tribes, although no one tribe dominated. Indeed, the concept of "tribe" does not describe very well the traditional political complexity of the area. There were scores of villages that dotted the coast and lined the major rivers; each of these villages was more or less politically independent, yet linked to one another by intricate networks of economic, social, and religious ties. Food sources important to the native peoples included deer, elk, fish from the ocean, rivers, and streams, nuts, berries, and seeds. Efficient and reliable hunting, fishing, and gathering methods were always paired with a deep spiritual awareness of nature's balance. 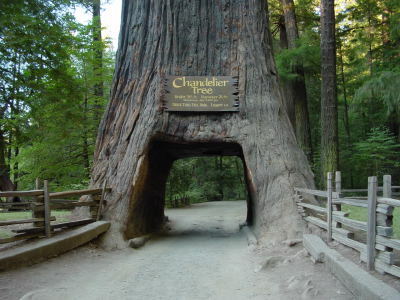 Traditional homes of the region's American Indians usually were constructed of planks split from fallen redwoods. These houses were built over pits dug beneath the building, with the space between the pit and the walls forming a natural bench. A house was understood to be a living being. 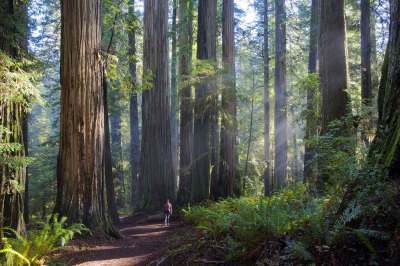 The redwood that formed its planks was itself the body of one of the Spirit Beings. 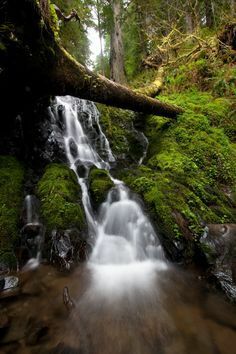 Spirit Beings were believed to be a divine race who existed before humans in the redwood region and who taught people the proper way to live here. Once gold was discovered along northwestern California’s Trinity River in 1850, outsiders moved into the area in overwhelming numbers. The initial contact with native peoples was gruesome.